NanaEfua received her MD at the University of Rochester School of Medicine where she was indoctrinate into the Arnold Gold Humanitarian Society. She later completed her residency in Emergency Medicine at the University of Chicago Medical Center. She went on to receive her master’s degrees in Public Health at Columbia University with the highlight of her study being in disaster relief in forced migration and social determinants of health. She received a dual B.S. at UCLA as a distinguished recipient of the UCLA Charles E. Young Humanitarian Award, a tribute to trailblazing students who lead projects that address communities' social needs. She still practices Emergency Medicine and serves many mentorship boards and disaster consultant teams. Nana’s has vast experience and a fierce commitment to service. Her global health experience includes working to develop young clinicians in Rwanda, Ghana, Haiti, and Latin America. Her most cherished title is “Mom in Chief” and “Principal Happy Dancer”. Her newest favorite book is Becoming by Michelle Obama and timeless poetry from Maya Angelou. Her humble beginnings affords her the empathy, insight and mindful hustle to blaze unchartered territories in order to bring a 21st century solution to a problem impacting over 44 million Americans from all backgrounds. I founded the Shared Harvest Fund to provide a pipeline of opportunities for all those struggling with student loan debt, and to provide a leg up to young professionals and entrepreneurs. The Shared Harvest Fund is cultivating social capital, a game-changing player in the gig economy ecosystem. Through technology and innovation, we are showing the impact that skills-based volunteering can have on creating more sustainable nonprofits and stronger communities. We are also cultivating a social network that restores dignity, civic engagement and self-worth that helps to combat depression and mental illness that result from fear and isolationism. Sophie Alpert’s background includes experience in both the arts and non-profit sectors. She was the Development Director for Para Los Ninos, a non-profit day care center in Skid Row. Previous to that, Sophie held various positions in the entertainment industry. In 2007, Sophie founded Piece by Piece, a social-enterprise arts non-profit to help residents in some of the most poverty stricken communities of Los Angeles. Sophie has been recognized numerous times for her philanthropic work in the community. The Los Angeles Business Journal honored her as a “Woman Making a Difference”. She was a recipient of the Women in Philanthropy Business award from Comerica Bank’s Best of LA Women’s Business and has received commendations from the City of Los Angeles and The Links in Palos Verdes. In 2013, Sophie was a recipient of the Unsung Heroes Award from the California Community Foundation. Besides her ongoing involvement with Piece by Piece, Sophie has also been a part of Valley Beth Shalom Temple’s Homelessness Task Force, is currently a member of the SAM Initiative, a women’s giving circle which helps fund and support exceptional and innovative programs in Los Angeles that promote social change. She also volunteers with Bet Tzedek which provides free legal services to help undocumented immigrant families. Sophie’s greatest pride (along with her husband) are her four children, 3 son-in-laws and adorable 5 grandkids. Jordan Bartlett is the co-founder of Doing Good Works. Prior to founding Doing Good Works, Jordan spent 8 years working for an insurance agency. In February 2014, Jordan quit his job to focus on changing outcomes for young people aging out of foster care. Later that year, Jordan met his co-founder, Scott Henderson, and together they decided to build a scaleable and sustainable business model that would provide resources, mentoring and job opportunities to young people impacted by foster care. Doing Good Works was incorporated as a Benefit Corporation in March of 2015. Doing Good Works has worked with over 900 youth since that time, directly hired 6 and connected over 50 to jobs with companies in the community. Jordan was adopted when he was young and knows the power and impact of having loving adults in the life of a child. He has also been a Court Appointed Special Advocate (CASA) in Orange County since 2015. His wife, Rachel, has also been a CASA in Orange County since 2014. They have a 1 year old named Drew. Rajasvini Bhansali is the Executive Director of Solidaire Network (formerly IDEX) and a passionate advocate for participatory grassroots-led social change and movement building. In her wide-ranging career devoted to social, ecological, and economic justice, she has led a national social enterprise, managed a public telecommunications infrastructure fund addressing digital divide issues, and worked as a researcher, planner, policy analyst and strategy consultant. Vini also worked alongside community leaders as a capacity builder for youth polytechnics in rural Kenya for over two years, an experience she credits as motivating her to work to transform international development and philanthropy towards more people-centered practices. Born and raised in India, Vini earned a Master’s in Public Affairs with a focus on technology and telecommunications policy from the LBJ School of Public Affairs at the University of Texas at Austin and a Bachelor′s in Astrophysics and Interdisciplinary Studies in Humanities & Social Sciences from UC Berkeley. Vini has been involved in community organizing and volunteer board roles for the last two decades including serving on the boards of Greenpeace USA, Agroecology Fund, CUSO International and Voice of Witness. Currently, she serves on the advisory board for the Women’s Building in New York City and is affiliated with the Master’s of Leadership in Sustainability Program at the University of Vermont. In 2015, she was honored with a Leaders in Action award by Asian Americans/Pacific Islanders in Philanthropy (AAPIP), and she was a Social Entrepreneurship (SEERS) fellow at Stanford University in 2016. Vini is also a published poet, essayist, storyteller, popular educator, and a trainer with the Rockwood Leadership Institute. When not engaged with community organizations, Vini can be found nesting in her home with her family in Richmond, CA. Jessica Blotter is the CEO & Co-Founder of Kind Traveler. The moment she discovered that the love of travel can’t be separated from the state of the world after witnessing poverty on a trip to Belize in 2012, she wondered how the $7-trillion travel industry could be harnessed to benefit local communities, the environment, and animals. This experience led her and her co-founder to launch KindTraveler.com, a social enterprise that’s the first socially-conscious Give + Get hotel booking platform empowering travelers to become a force for good. Since launching Kind Traveler, Blotter has been featured in more than 200 news and blog outlets including The New York Times, Afar, Conde Nast Traveler, and Travel + Leisure. Blotter has delivered a TEDx salon talk ‘The Future of Travel: Purpose is King,’ was a recipient of the 2017 WITTI (Women in Travel & Tourism International) Award by Mandala Research as a Rising Star in Travel & Tourism presented by Skift, and received the ‘Best Ethical Travel Agency of 2018’ Award by ELUXE Magazine. Misty Castañeda is the Founder & Cultivator of Purpose at For Purpose Kids, a social good brand inspiring the next generation of global citizens by teaching kindness and doing good as a way of life with Toolkits and a Subscription. Misty has always had a passion for working with kids, volunteering and traveling the world. She grew up in Vermont and attended James Madison University, where she graduated with a BA in Interdisciplinary Social Science and a Teaching Certificate in Early Childhood Education. After teaching primary school in the UK after college, Misty returned to the US, knowing that a life abroad would one day be a part of her future. After a successful career in Hospitality Sales & Marketing for over 13 years, Misty left the corporate world in 2013 to both pursue the development of a company focused on doing good in the world and to live abroad in Hong Kong with her now husband and stepson. Living in Asia opened up a whole new world of opportunities for Misty and only added to her resolve to develop a company with heart, that would have a positive impact in the world. For Purpose Kids, launched in 2017, is the culmination of all her passions, experiences and dreams and her goal of inspiring others to be kind and do good in the world has now become a reality. Currently, Misty lives with her husband and young son in Southern California, but can be found frequently traveling back to Hong Kong, a place that has captured her heart. In preparation for graduating with a B.A. in sociology and arts education at UCLA (June 2019), Sandrine is finishing her honors thesis as well as creating a tangible visual facilitation guidebook for educators worldwide. Moving back and forth between Paris and the San Francisco Bay Area since childhood, Sandrine noticed societal differences between France and the US, ranging from education to the overall distribution of wealth and resources. After studying abroad in Ghana for a semester her sophomore year, Sandrine grew passionate about improving the nonprofit sector. While interning for a local NGO with a mission to provide training and empowerment for local women and young girls, Sandrine observed gaps between intended and actual results in various social impact projects. Most of all, she noticed there was no practice of measuring impact, updating implementation processes, or even any clear definition of what good and sustainable social impact really is. Upon returning to UCLA, Sandrine helped launch a tutoring program for incarcerated youth while bringing visual and performing arts lessons to local underserved k-12 schools. She is now working on her honors thesis, which examines US high school humanitarian programs that aim to provide education to developing countries. As a consultant for Net Impact at UCLA, Sandrine uses her research findings and her knowledge of the social impact industry to help non profits improve and expand their social impact. Greg Ericksen, Associate Director of Southern California Regional Partnerships, oversees the expansion of REDF’s LA:RISE program, a collaboration between social enterprise, workforce systems and employers helping people facing barriers to work. He also leads the overall strategy to build social enterprise capacity in Southern California. Greg joins REDF after spending more than 15 years in federal government and the non-profit sector. Most recently, Greg served as a Program Officer at the Corporation for National and Community Service where he oversaw a portfolio of AmeriCorps and Senior Corps projects. Prior to CNCS, he was the State Program Director at the American Red Cross, providing disaster preparedness and response throughout California. 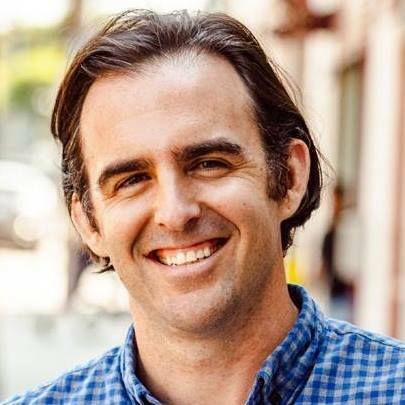 Inspired by REDF’s innovative approach of using social enterprise to solve some of our country’s most pressing challenges, Greg is excited to apply his depth of experience and deep-seated belief in the power of community engagement to grow public-private partnerships in Southern California. Greg earned his BA from John Carroll University and his MPA from California State University, Long Beach. On most weekends you can find him, along with his wife and two young daughters, Norah and Elodie, on their favorite SoCal Beach swimming, surfing and having fun! Monroe Gorden, Jr. has been named vice chancellor of student affairs at UCLA. He has served as interim vice chancellor since July 2016. Prior to his interim appointment, Gorden served as associate vice chancellor for administration in UCLA Student Affairs, with direct responsibility for more than a dozen student affairs departments. He maintained the organization’s budget stability during turbulent times, increased administrative efficiencies, managed initiatives on topics such as health insurance and graduate student career services, and chaired a campus-wide committee to develop our Bruins for Life program. Gorden has also served as UCLA’s compliance officer for the Americans with Disabilities Act and Section 504 for nearly 11 years, providing guidance to the campus on disability related issues, including reasonable accommodation. A licensed attorney in California with experience in business and health care law, he served as manager of legal contracting at United Healthcare and assistant general counsel at Tenet Healthcare prior to joining UCLA in 2006. Gorden is a UCLA alumnus who earned his B.A. in political science and completed the executive program in management at the UCLA Anderson School of Management. He also graduated from Pepperdine University School of Law. Gabriel Griffith is a social entrepreneur, educator and (soon-to-be) father of four. Before co-founding Tribe West with his wife Michelle, Gabriel was a college and high school philosophy teacher, program director and administrator for over a decade. Founding and directing an Environmental Studies and Outdoor Leadership program enabled him to lead service expeditions around the world, connecting him with the international artisans in Tanzania and Peru who both inspired Tribe West’s unique design and impact models and became its first artisan partners. Gabriel loves travelling, outdoor adventures and making music with family and friends. Kate Hayes serves as Echoing Green’s Director for their Catalyze Ecosystem programming. She oversees several programs at Echoing Green, including Direct Impact, an innovative board leadership program designed to prepare the next generation of board members and transform nonprofit boards. She also manages Echoing Green’s alumni programs, ecosystem building and place-based strategy work, and internal program operations. She leads retreats, workshops, and immersive site visits focused on leadership development, purpose, strategic governance, philanthropy, and social entrepreneurship. Prior to joining Echoing Green, she worked as Director of Evaluation and Program Impact in the national office of Minds Matter. Kate currently sits on the Executive Committee at the Northfield Mount Hermon School, where she serves as Vice President of the Alumni Council. Kate has written for the Stanford Social Innovation Review, Forbes, and across the web about issues related to leadership, purpose, social entrepreneurship, and nonprofit boards. She holds a degree in Behavioral Neuroscience from Northeastern University. Ramneek Hazrah is a second-year undergraduate student at UCLA majoring in Business Economics and International Development Studies. Having been the only low-income, first-generation, and Sikh student at her high school, her experiences showed her how inequality is institutionalized, especially within the financial sector. Through a career in finance, Ramneek hopes to reform the financial sector through impact investing and diversity initiatives. As a result, Ramneek founded the networking platform known as Sikhs on Wall St, which provides Sikh college students the opportunity to network with Sikh finance professionals. This allows Sikhs to explore careers in an industry in which they are drastically underrepresented. Furthermore, Ramneek is excited to found We Found an Impact, an impact investing club that will begin at UCLA and a multitude of other colleges this fall. She views this initiative as a movement, to have impact investing become the norm and not the exception. This past summer, Ramneek interned at a venture capital and private equity firm in Cape Town, South Africa that focuses on socio-economic impact. She headed a project that exponentially improves the company’s functionality and scales the impact created through the acquisition of struggling enterprises. At UCLA, Ramneek is an associate consultant with Net Impact, where she consults social enterprises in the L.A. area. Laura Hertz is the co-founder and CEO of Gifts for Good (giftsforgood.com): an e-commerce corporate gifting site that solely sells gifts that give back. Gifts for Good curates and customizes premium gifts for employees and clients that support the work of over 40 nonprofits and cause-based enterprises in 19 states and 65 countries. Prior to co-founding Gifts for Good, Laura served as the Creative Director for Cultural Outreach and as an Audit Senior Associate at Deloitte. Laura dedicated a year of her life to national community service work with AmeriCorps NCCC— a team-based federal service program that has been deemed the Domestic Peace Corps. She holds her B.S. in Business Administration from UC Berkeley's Haas School of Business and her Master’s in Social Entrepreneurship from the USC Marshall School of Business. Though originally from New York, she has been fortunate enough to live in a diverse slew of countries, including China, Spain, and South Africa, and to have traveled through 22 countries and 49 states. Archie Holton is the Program Leader for Academies for Social Entrepreneurship. The Academies for Social Entrepreneurship is a project of Social & Environmental Entrepreneurs (SEE), a foundation dedicated to providing resources and support services for projects that address social justice and environmental issues. ASE promotes the development of social enterprises and business ventures which address social problems. Their core program is the Social Enterprise Academy, which provides training and mentoring, as well as the opportunity to compete in a venture competition. In the past 3 years, working with a variety of strategic partners, ASE has produced 18 Social Enterprise Academies. The unique program has expanded capacity for over 200 social entrepreneurs, generating over $10 million dollars in new investment and earned income streams. In post-program evaluation reports, 65% of the participants generated new revenue within a year of participating and 94% said that their participation in the Academy had a valuable and significant impact in the way that they manage their business. Aside from being Program Leader, Mr. Holton is an entrepreneur, actor and executive coach. After running a successful plumbing business for twenty years, he recently opened a restaurant. Building on his own entrepreneurial experiences, Holton is a business coach. With over twenty years of experience as a transformative educator, Holton has worked with thousands of people, giving them the tools they needed to create their dreams as realities. Basim Khan, MD, MPA is Executive Director and a primary care physician at Neighborhood Health, a Federally Qualified Health Center (FQHC) in Northern Virginia. Neighborhood Health provides primary care to more than 21,000 primarily low-income, uninsured, or underinsured patients in Alexandria, Arlington, and Fairfax County. It operates twelve clinics including a school based mobile dental van and provides a wide range of services for its patient population. These include adult medicine, pediatrics, women’s health, dental care, behavioral health, pharmacy assistance, HIV care, case management, health insurance enrollment, and referral to social services. Through partnerships with local government, health departments, community mental health organizations, and school systems, Neighborhood Health has increased access to care for the region’s most vulnerable residents, growing by more than 7,000 patients in the last two years. In addition, it has received Health Center Quality Awards from the Health Services and Resources Administration for five years in a row. Dr. Khan received his medical degree from the University of California Los Angeles, and internal medicine residency training from the University of California San Francisco in an urban-underserved primary care track based at San Francisco General Hospital. He received his Bachelor degree from Brown University and a Master in Public Administration from Harvard Kennedy School, where he was a Zuckerman Fellow. In 2017, he was selected as a Presidential Leadership Scholar, a leadership program organized by the George W Bush and Bill Clinton Presidential Centers. In 2018, he was selected by the Washington Business Journal as one of the region's non-profit CEO/Executive Directors of the year. Dr. Khan’s primary interest is expanding access to high quality and affordable health care in Northern Virginia. He has served on the Board of Directors of the National Physicians Alliance and the Culmore Clinic as well as the Virginia Governor’s Council of the American College of Physicians. Dr. Khan speaks Urdu/Hindi, Pashto, and Spanish and is a Fellow of the American College of Physicians. His work has appeared in the Los Angeles Times, Huffington Post, PBS Newshour, and other outlets. He lives in Arlington, VA.
Sergio Marrero is a serial entrepreneur, facilitator, researcher, coach, and investor who graduated from the Harvard Business School and the Harvard Kennedy School of Government. He has experience in strategy and innovation consulting, startups, venture capital, and with accelerators. He is currently a venture capitalist at Venture University - a fund out of San Fransisco and investor training program. His passion is working with early stage founders and innovation labs to expedite innovation and launch disruptive ventures. 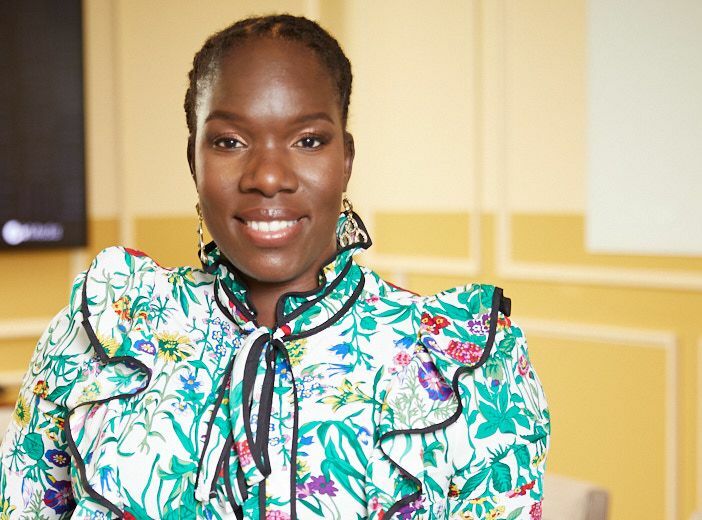 Nkem Ndefo is the founder of Lumos Transforms and creator of The Resilience Toolkit. She is a skilled practitioner, dynamic speaker, and valued strategist. She is known for her unique ability to connect with people of all types by holding powerful healing spaces, weaving complex concepts into accessible narratives, and creating synergistic and collaborative learning communities that nourish people’s innate capacity for healing, wellness, and connection. Her career began in the late 1980’s, providing community health education to distressed populations including IV drug users and youth in foster care. She witnessed intense suffering in these communities; her desire to relieve this suffering spurred her pursuit for the knowledge, understanding, and skills necessary to bring health at its deepest level to all age groups. Licensed as a Registered Nurse and Nurse Midwife, Nkemholds a Master’s degree in Nursing from Frontier Nursing University. She has extensive post-graduate training in complementary health modalities and emotional therapies, including Level 3 certification in Tension/Trauma Release Exercises and Level 5 certification in Emotional Transformation Therapy. As a clinician, Nkem has worked in settings ranging from large volume hospitals to mobile community clinics. She founded and operated a full scope midwifery and homebirth practice from 2000-2007. And she has maintained a small holistic private practice in Los Angeles since 2007. She worked for California Maternal Quality Care Collaborative researching maternal death outcomes and served on the Los Angeles County Trauma-and Resilience-Informed Systems Change Initiative Workgroup. Currently she is an advisor to Trauma Informed LA (formerly the Trauma-Informed Task Force of Greater Los Angeles). Dr. Laysha Ostrow is the Founder and CEO of Live & Learn. Live & Learn, Inc. provides public health research, consulting, and knowledge translation services to improve the mental health and social welfare of communities across the nation and the globe. Our clients and partners include organizations and institutions in research, advocacy, policy, and direct service. We specialize in the inclusion of those who have personally struggled with their mental health. In addition to her duties at Live & Learn, Inc., Dr. Ostrow is an Adjunct Professor in the School of Community and Global Health at Claremont Graduate University. She completed a Postdoctoral Research Fellowship in the Department of Psychiatry at UCSF and holds a PhD from the Johns Hopkins School of Public Health and a Master of Public Policy from the Heller School for Social Policy and Management at Brandeis University. In addition to publishing research in scientific journals, her work has been covered in the popular press, such as the New York Times, Psychology Today, and the Huffington Post. She has served on several federal and state workgroups, and spoken before the U.S. Senate and the California State Treasurer. Dr. Ostrow has first-hand lived experience of the special education, Social Security disability, and psychiatric systems. Sam Polk is the co-founder and CEO of Everytable, a social enterprise restaurant chain making healthy food affordable for all, and founder of Feast, a Los Angeles non-profit that advances wellness in underserved communities through the power of healthy food and human connection. In a prior life, Sam was a senior trader at one of the largest hedge funds in the world. He is the author of the memoir For The Love of Money (Scribner, 2016) and the viral front-page New York Times OpEd of the same title. His writing has been published in The Los Angeles Times, The Orange County Register, The Huffington Post and CNBC.com. He serves on the Leadership Board of The Los Angeles Food Policy Council, the Advisory Board of Conscious Capitalism Los Angeles, and the Advisory Board of the Resnick Center for Food Law & Policy at UCLA. He is a graduate of Columbia University and holds the Chartered Financial Analyst (CFA) designation. Beverly Rouse’s entire professional career has been devoted to the nonprofit sector, where she acquired extensive experience in development, management, and leadership. She has designed and launched fundraising programs at two universities and served as Executive Director at three nonprofit organizations. In 2014, Beverly joined the co-founders of Water Charity to help expand their global impact by providing clean water to people living in the world’s poorest countries. Water Charity has implemented more than 4,400 water/sanitation projects serving in excess of 4,500,000 people in 77 countries since its establishment in 2008. Beverly holds an MBA from California Polytechnic University, Pomona with emphasis in nonprofit management, and a BA from Colorado State University. She has presented at numerous conferences and was named one of Pasadena’s Fifty Fabulous Women in 2012. Dr. Bernice B. Rumala earned a PhD and three Masters degrees from Columbia University and has served as a Fulbright-Fogarty and Harvard Research fellow. She previously served in senior leadership roles in academia, the public, and the private sectors. Dr. Rumala recently transitioned back to the United States after living in Iraq where she worked for the United Nations to provide her expertise for more than a year. This was at the height of the war on ISIS in Iraq. She has more than fifteen years of interdisciplinary experience as a change agent in the public, private, academic and international sectors. Dr. Rumala has seen and experienced the challenges of inequities and the detrimental impacts to individuals and communities, specifically vulnerable communities and communities of color. This is unacceptable and should not be the norm. Having stemmed from an underserved community with lived experiences in growing inequities, her scholarly efforts and community-based efforts, including, global leadership and administrative leadership, have centered around interdisciplinary approaches to addressing equity as being integral to systems change. This includes addressing inequities through a multi-disciplinary, and multi-stakeholder lens with a specific emphasis on including marginalized stakeholders towards solutions. Dr. Rumala’s passion are to continue to use her lived experiences to address equity from all angles through leadership, mentoring, advocacy, capacity building, research, and partnerships. Dr. Rumala is an authority on creative non-traditional interdisciplinary approaches for solutions and implementation. Her interest and expertise are in interdisciplinary innovation, thought leadership, systems change, organizational change, social determinants of equity, health equity, public health, human rights, gender equality, STEM, diversity and inclusion, social justice, community engaged research, social capital and addressing discrimination and implicit biases. Dr. Rumala also considers herself a global citizen based on international experiences in more than twenty countries. She has had global experiences in stable regions as well as regions impacted by war, conflict, and instability, with her most recent global experience in Iraq consulting for the United Nations. Dr. Rumala is also a lover of the arts as a tool to address social issues. In her “spare” time, she enjoys drafting a comedic series that is based in large part on her life and experiences. Tai has spent 25 years as a global speaker, leader and author on social entrepreneurship. He is the founder of 3 nonprofits in the education and health sectors. Currently, Tai is the Founder and CEO of the strategic insights group, the leading, mission-driven consulting firm in Los Angeles, California. Previously, Tai was an instructor at Harvard University and was also a visiting scholar at American University, UC Berkeley, and Vanderbilt University. He was also a U.S. Peace Corps Volunteer in the Republic of Palau, working to support Pacific Island economies. In 2019, Tai will commission as a command officer in the U.S. Air Force Reserves. Tai speaks 7 languages and is the recipient of several national innovation awards, including: Presidential Scholar, Ash Fellowship in Innovations, and U.S. Military Community Service Award. He completed his doctoral coursework at Harvard University, where he also earned his MPP and EdM degrees, and holds a BA from UCLA. Autumn Breon Williams works to reimagine a global narrative of Africa through the lenses of education and art. A graduate of Stanford University, Autumn studied Aeronautics and Astronautics and researched aeronautical astrobiology applications for NASA. As the only woman of color in her cohort, Autumn explored the root cause of underrepresentation in her field. After learning that many students lose academic interest in mathematics and science in addition to less access to supplementary support in middle school, she founded STEMgineers Shifting Gears, a STEM-focused after school, tutoring, and summer program based in Watts, CA that encourages students’ intellectual curiosity in science, technology, engineering, and mathematics through project-based learning. Autumn currently serves as Executive Director for the African School for Excellence Foundation where she leads global partnership efforts. She is also a Contemporary African Art dealer and brokers art for artists and collectors in Europe, Africa, and the States. Kiah Williams is co-founder of SIRUM, a 501(c)3 social venture solving America’s high drug cost problem. SIRUM takes unused, surplus drugs and seamlessly delivers them to working poor families, using technology to democratize access. SIRUM has helped redistributed over 300,000 prescriptions worth over $11M of medicine to people across 5 states. Kiah has been recognized for her work at SIRUM as both a Forbes 30-Under-30 Social Entrepreneur stand-out and Outstanding Alumni, Silicon Valley Business Journal 40-Under-40, Draper Richards Kaplan Entrepreneur, Grinnell College Young Innovator for Social Justice Prize and inaugural Westly Foundation Social Innovator. Kiah previously led negotiations for the Clinton Foundation to create the Alliance Healthcare Initiative, an industry collaboration to reduce childhood obesity. Kiah developed partnerships with Fortune 100 companies to expand health benefits to 2 million children. Williams earned her bachelors and masters degrees from Stanford University, where she was also the president of the NAACP. Kiah proudly hails from West Philadelphia and is passionate about health equity in underserved communities. We want to hear from you! We are lining up great speakers and workshop facilitators, but we don’t know everyone on the international level. If you are or know someone who is a mover-and-shaker, a proven social entrepreneur, or funder, please contact us at: info@strategicinsights.group. Individual social entrepreneurs and changemakers recognized by other networks: Ashoka, Earth Company, Echoing Green, Endeavor, GLG Social Impact Fellows, Obama Fellows, Omidyar Network, Roddenberry Fellows, Skoll, Synergos Fellows, Schwab.